Enjoy our sale on HP Color LaserJet CP4025n toner and get the print quality your office needs for less. Our remanufactured toner cartridges deliver an original equipment manufacturer (OEM) comparable performance at a small fraction of the OEM price. 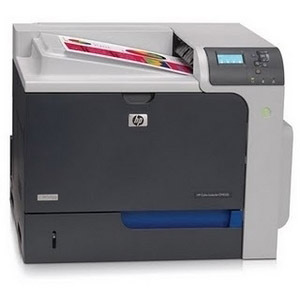 We offer our cartridges in every color your HP Color LaserJet CP4025n printer needs: black, magenta, cyan, and yellow. For added savings and convenience, we also offer a four-pack that bundles together one of each color. You’ll get all the same print quality, color capability, and product specs that you’d get from using OEM products, too. Our black remanufactured HP 647A toner cartridge prints up to 8,500 pages and each of our color remanufactured HP 648A toner cartridges can print up to 11,000 pages! Even a large, fast-paced office won’t miss a beat with these remanufactured cartridges; they’ll help you stay on top of any assignment while saving your business a lot of cash! Remanufactured toner cartridge from 1ink.com is the logical way for your office to reduce costs without losing quality. Get peace of mind on the performance you need with 1ink.com’s remanufactured, warranty-covered toner.